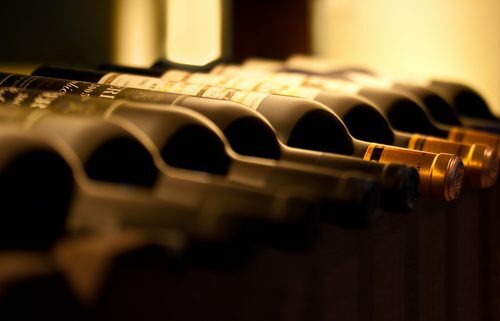 A professionally engineered wine storage facility, the Chateau 55 wine storage facility is equipped with high-performing, reliable, and fault-tolerant refrigeration systems. With such a construction, Chateau 55 wine storage units are able to function even when a component fails. The units are also constantly monitored to ensure that temperature and humidity levels are kept at the optimum level. Alerts are also sent out immediately should the climate change. Chateau 55 offers wine storage lockers in different sizes. There are units that can accommodate as little as 12 cases, as well as units large enough for commercial distributors or those who desire walk-in rooms. Although there are different choices when it comes to wine storage, clients can benefit from our custom Chateau 55 wine storage units to fit their needs. The same level of quality seen in original units will be bestowed upon any customized units. Clients can expect the same high-performing machines with uniform air and temperature distribution. Units will still be safe and secure while being able to cater to customized needs. The same amount of reliability is expected, with custom refrigeration systems continuing to function in the event of system failures. Control systems will function just the same: it will start the backup system when it detects a slight change in the climate. Users can also monitor temperature and alarm data through text or a web-enabled device. Wine needs to be stored at just the right temperatures and our custom refrigeration systems for our Chateau 55 wine storage units allow for a tailored system according to your specific needs. “As a backyard vintner and winemaker, I took a special interest in this project. I have tended a small vineyard and made ‘garage wine’ for 10 years. I am well acquainted with the importance of consistent storage temperature for wines. I have lost some good vintages due to poor storage! As a refrigeration contractor primarily serving the life science and scientific community, I was delighted to apply my experience to this project. I approached it from the standpoint of ‘critical storage’ as I would any life science application. We were tasked with providing a refrigeration system that was high-performance, reliable, fault-tolerant, and within budget. No small task! High performance was achieved by sizing the equipment with generous safety margin. Moreover, careful placement of the fan coils was key for achieving uniform air and temperature distribution. We paid special attention to achieve required airflows while maximizing storage space. We conducted thermal mapping with 25 sensors throughout the space to assure uniformity. Reliability came with the use of heavy duty scroll compressors and best-of-class components. However, even high-quality equipment can fail. Therefore, we augmented this reliability with fault-tolerance. This is achieved by installing fully-redundant refrigeration systems, each of which can independently deliver the required cooling in the event of a system failure. The control system detects any temperature excursion and immediately starts the backup system. A separate temperature monitor relays real-time temperature and alarm data to users via text and any web-enabled device. Reasons Why Wine Storage Is Necessary Will Wine Prices Go Up as Wildfires Disrupt its Supply Chain?